Here’s one for partners to master just in time for Mother’s Day! 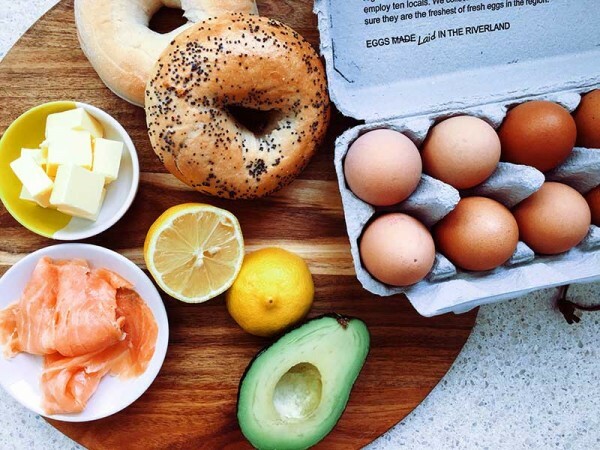 Create an awesome weekend breakfast for the whole family right in your very own kitchen for around the cost of one similar breakfast at your favourite eatery. Today I’m shining a light on my all-time favourite sauce, the silky lemon infused hollandaise sauce. Don’t shun away in fear, Babyologists. It’s dead easy and this recipe makes just the right amount for a few breakfasts – or two hollandaise enthusiasts. Perfect for brunch, lunch – even dinner (no judgement please), this is one dish which will both fill you up and taste delicious! 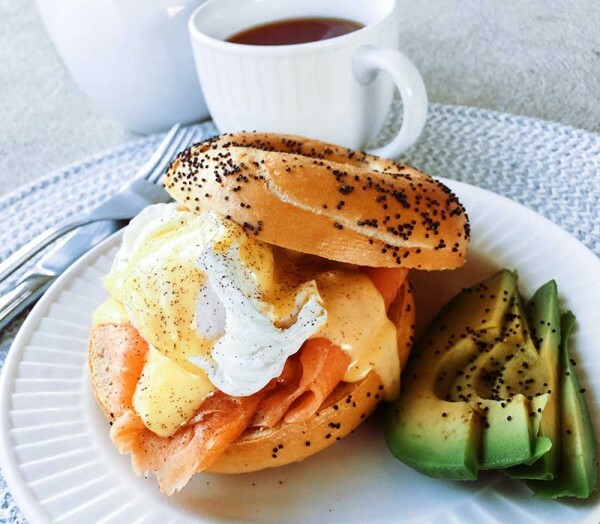 Grab yourself a bagel (or a bread of your choice), some sliced salmon, ham or bacon and prep your eggs however you like them best (fried or poached work best) and get ready for the star of the show, the hollandaise sauce. Prepare a simple double boiler to make the hollandaise sauce. 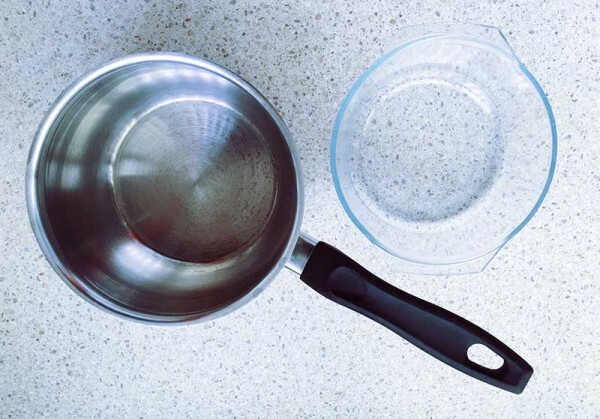 Find a small glass, heat resistant bowl to fit on top of a small saucepan. Fill the saucepan with a few inches of water (make sure the water doesn’t touch the bottom of the bowl) and heat to a simmer on the stove top. 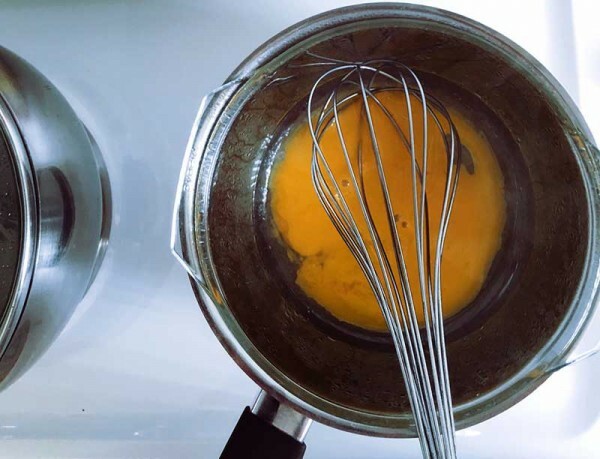 To the bowl, add the egg yolk and lemon juice and whisk together (do not stop whisking or your egg will start to cook!). Add a piece of the butter and continue to whisk until it thickens slightly. Continue whisking, adding one piece of butter at a time after each piece is incorporated into the sauce. Now that your sauce is made, build the rest of your breakfast – toast your bagel, cook your bacon if you’re having it and your eggs. 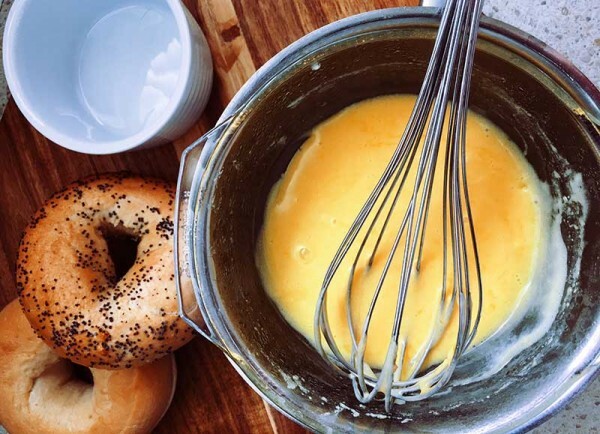 The hollandaise will thicken on standing, bring it back to the heat and give it a good whisk again to heat it up and if too thick, add a teaspoon of water at a time until it’s reached the right consistency. Pour over your egg and presto, cafe style breakfast!